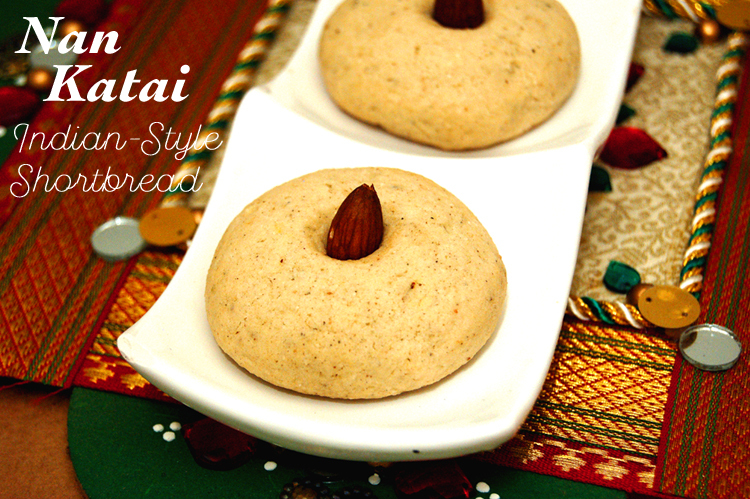 A typical cookie or sweet we make during Diwali, the Festival of Lights is Nan Katai (or Khatai), a Indian-style shortbread with saffron and cardamom. I often make this during Christmas too and add them to my cookie plates, offering a slight Indian touch to the holidays! Try with Arvinda's Christmas Chai Masala. 1) Preheat oven to 350F. In a small bowl soak saffron in milk. Set aside. 2) In a bowl add butter and sift in icing sugar. Mix in ARVINDA'S CHAI MASALA and baking soda. Sift in flour. Mix in semolina. Mix in milk with saffron. Shape batter into balls and slightly flatten into a discs. Bake for 12-14 minutes or until bottoms are golden in colour. Makes 14 large or 20 small cookies.